KappFreeA™ Tin-Copper-Silver is a Lead-free, Cadmium-free formulation designed specifically to replace KappLead™ (Tin-Lead) solders in standard Stainless Steel, Copper, and Brass plumbing applications, without requiring additional liquid or paste flux. 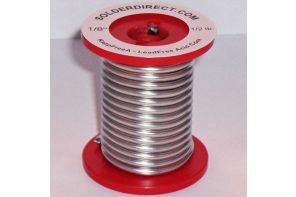 When the solder is heated, the internal flux is released to remove the oxide layer necessary for forming a strong bond. KappFreeA™ contains less Silver and is less expensive than KappZapp™ solders, yet produces joints with good tolerance to vibration and stress with tensile strength to 10,000 psi on Copper. Kapp Comet™ Flux, 350-500°F (176-260°C), may be required on some highly polished Chromium and Nickel Stainless Steel Alloys. 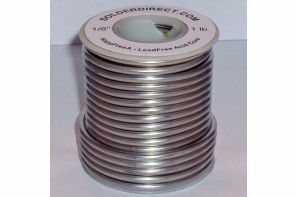 It is very unlikely you will need Comet Flux™ when using KappFreeA™ Acid-cored solder on Copper or Brass. Comet Flux™ is specifically designed to work with KappFree™ and KappFreeA™ solders to remove the stubborn oxide layer to allow a strong metallic bond between the solder and the base metal. Its active range is 350-500°F (176-260°C). Kapp Comet™ Flux will char above 500°F (260°C). This char will contaminate the solder joint and require you to stop soldering, clean the joint area and solder again. DO NOT OVERHEAT THE FLUX!